New process could cut price significantly. 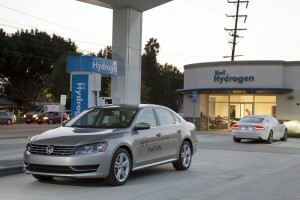 New technology being developed by Volkswagen and Stanford University might make this type of fueling up a reality. 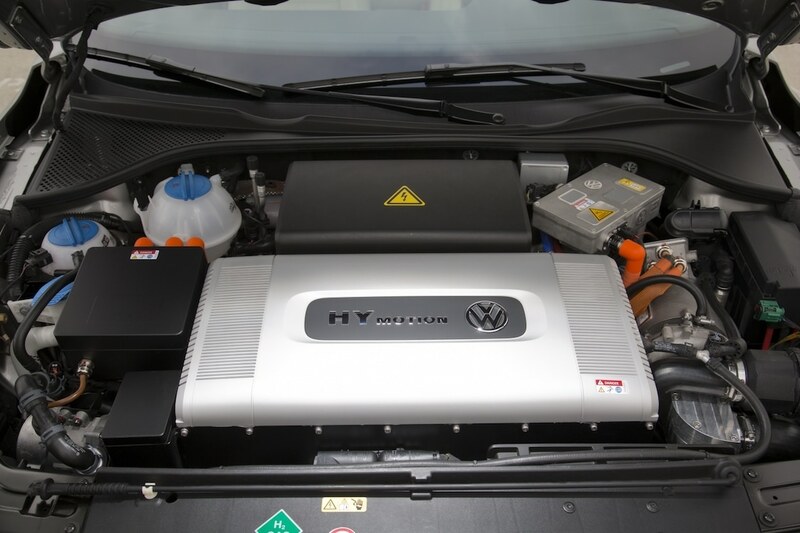 Volkswagen has teamed up with Stanford University to develop a process to manufacture the fuel cells that can power vehicles in the future by reducing the amount of platinum used. Fuel-cell technology is regarded as a serious alternative to battery-electric technology, but it has always come with a comparatively high cost. One of the biggest cost drivers for fuel cells is the use of the platinum, which is required as a catalyst to operate the fuel cell. In the catalytic process, platinum is distributed as particles on carbon powder. However, since the process only takes place on the surface of the platinum particles, large quantities of the costly material are wasted, Volkswagen notes. A new fuel cell production process may eventually make the HyMotion a high-volume reality. In a new process developed by Volkswagen and Stanford University, platinum atoms are precisely placed on a carbon surface in order to produce extremely thin particles. “This technology opens up enormous possibilities for cost reduction, as the amount of precious metal used is minimized. At the same time, service life and catalyst performance are increased,” said Stanford Professor Friedrich Prinz. “In addition to the fuel cell, atomic layer deposition also offers a whole range of other applications requiring high-performance materials, such as next-generation lithium-ion batteries,” Prinz said. The fuel cell has great potential in emission-free mobility. The advantages over battery-electric vehicles are significant — cars with fuel cells are comparable to conventional combustion engines in terms of efficiency, range and refueling times. Plus, the vehicle only gives off water and heat as emissions. 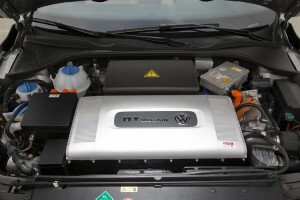 However, due to the higher production costs, the fuel cell is currently still a niche product. With the help of the new catalyst technology, there is potential for greater economic efficiency that could make the fuel cell a real alternative to battery-powered drives and the classic combustion engine. The benefits of the new process are threefold — it reduces the amount of platinum required, increases the efficiency of the catalyst by a factor of three compared to current technology, and increases the catalyst’s durability, VW and Stanford officials said. While the new process is a breakthrough, it’s time consuming when compared with other types of production. Increasing the speed and volume of the process is next so it can be transferred from the lab to the production line, VW officials said. This entry was posted on Friday, September 28th, 2018 at and is filed under Automobiles. You can follow any responses to this entry through the RSS 2.0 feed. Both comments and pings are currently closed.